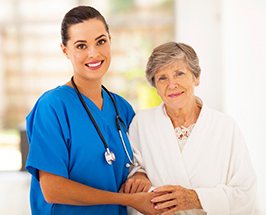 Our company takes pride in the service we deliver with a compassionate and dependable staff that is under the supervision of a Registered Nurse with over 20 years of home healthcare experience. Vistelan is there when you need us most. According to the Department of Health and Human Services the number of Americans over the age of 65 is expected to increase by more than 20% in the next few years. Assistance with activities of daily living allowing the elderly to remain in the home. Peace of mind for family members to continue with their daily lives. One on one personalized care. Early detection and prevention of potential medical emergencies.